Linked to your house or shelter via a pet door. 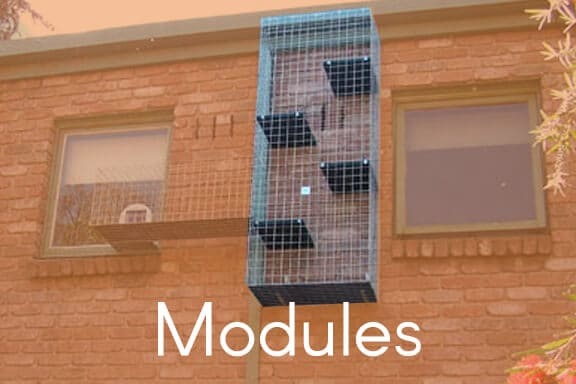 A modular cat enclosure is a network of one or more modules connected by tunnels that provide a safe outdoor territory for your cat. Modules are lightweight and collapsible and can be placed just about anywhere! Position them in sunny or shady spots of your garden, over bushes, around trees, even on the roof! 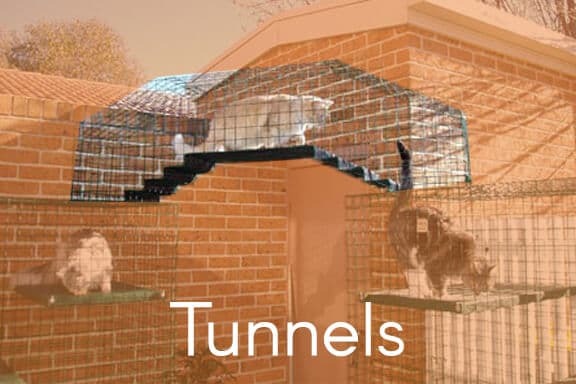 Tunnels give the feeling of space and can run along fences and walls, under the house, deck or eaves, around corners and through branches of trees. 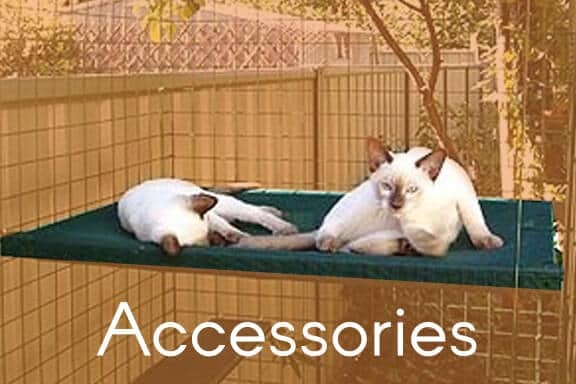 Include accessories like steps for exercise and hammocks to laze on to complete your cats own space. 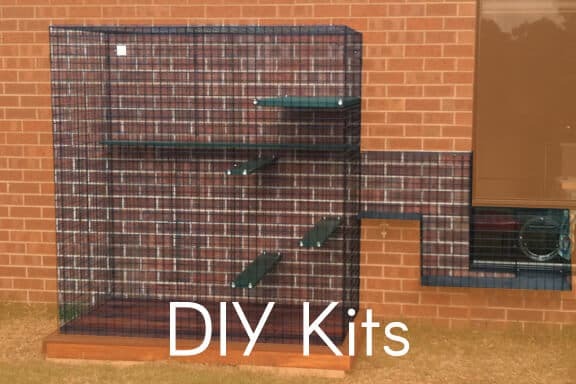 Choose a pre-designed DIY Kit or design your own cat park from our list of modules and tunnels. Installers can quote and install for you if would like. They are designed to move house with you and there are options for balconies , retirement villages and rental properties.